Here is an epic Bible story about faith in the time of Judges and Kings. 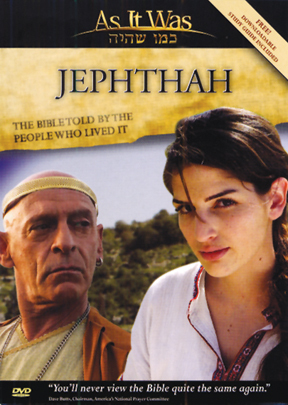 Shot on location in Israel, this episode features a story about Jephthah by "interviewing" the eye-witnesses of his life. Watch this fascinating portrait with your family, discuss it with your small group or just sit back and enjoy the Bible as you have never seen it..."As It Was." Includes a free PDF study guide.